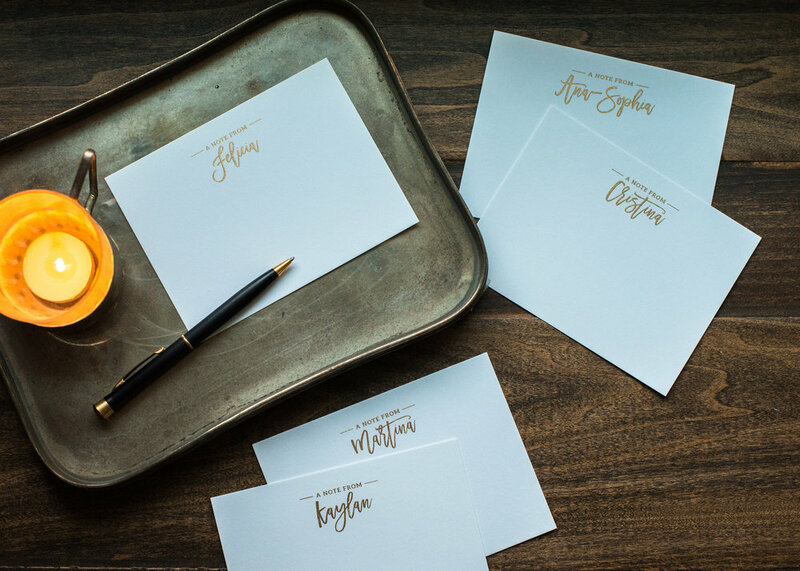 Gift your gals with a set of custom stationery notecards, personalized with their names! This can be designed in any color scheme! Want to change the card size, font, or artwork? How about combining this design with another idea? No problem! Let us design something customized just for you! Call us for a free, zero-obligation phone consultation and we can discuss your project.